How time flies! Winter will be upon us very soon, here in the northern hemisphere. Christmas is coming, the festive lights will be twinkling and as shoppers gather in Britain’s town centres, flocks of street fundraisers from NGOs and charities will be among them, vigorously working the crowds for cash donations. Coincidentally, on the world stage the same thing will be happening writ large as the greatest event in the climate conference calendar is barely a couple of months away – the Conference of the Parties, where representatives from hundreds of countries will descend on Paris to shop for climate deals and the collection tins will be rattling in earnest. 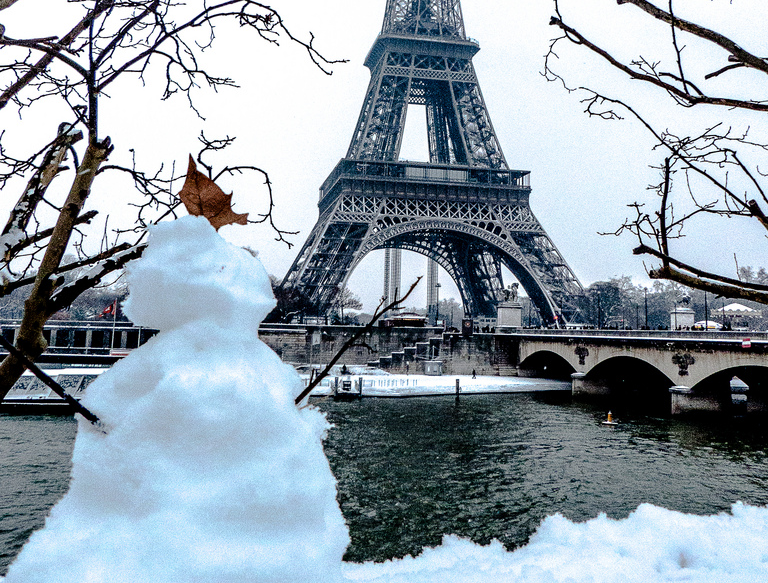 Have you ordered your COP21 greetings cards yet, by the way? Christiana Figueres, Executive Secretary of the UNFCCC (United Nations Framework Convention on Climate Change) was on BBC Radio 4’s Today programme last Friday, and I’ve posted a transcript of the interview here. She is – as always – cheerful and upbeat. I’ve been following climate conferences since Bali in 2007, and aside from an occasional lapse, it generally seems to be sunny weather on planet UNFCCC – progress being made, talks leading to agreements to have further talks, a roadmap unfurling into an accord which morphs into a breakthrough which ascends onto a platform, and so forth. And you can tell, just by listening to Ms. Figueres, that the relentless good tidings are set to continue through to Paris and beyond. There’s the sticking point of money (or lack thereof), however, which I’ll come to, in a minute. And there’s also the curious absence of (cast your minds back to 2009 and all the “Seal the Deal!” razzamatazz) a legally binding treaty, signed by all nations on the planet, to replace the Kyoto Protocol, limit greenhouse gas emissions and thus (so the intention was) turn the world’s temperature control knob to a “safe” setting. As this interview confirms, it’s now all about INDCs, or Intended Nationally Determined Contributions, where each country simply signals that it will “address climate change” in a way which “will reflect each country’s ambition for reducing emissions, taking into account its domestic circumstances and capabilities”. The word “pledge” (or “pledges”) occurs no less than eight times during the interview and in Roger Harrabin’s report that precedes it, so it’s obviously a big hint as to what is going to happen in Paris – no big, legally-binding deal to seal but a lengthy sort of reverse Christmas list, as it were, of promises from everyone. Sarah Montague: But then – forgive me for interrupting – but then you are relying on what countries do being upgraded at later stages, the fact the pledges will be reviewed after five years. There is nothing in the UN framework to ensure that happens – when they’re reviewed, countries could end up doing less, rather than more, couldn’t they. Christiana Figueres: They could end up doing more rather than less [laughs]. They could actually end up over-complying, which I think is going to be the case, because once the Paris agreement is in place, it will send a very strong signal, and what I think is going to happen here is we will have a very virtuous cycle detonated, where technology will move faster than it has, where capital shifts will increase in speed and in scale, and where policy will continue to advance, all three together – technology, capital and, um, and policy will actually help to accelerate the change. And the other thing is, of course, the money, which is what most of the hassle in Paris will be about. By 2020 there should be a hundred billion dollars a year – a modest enough sum, you might think – flowing like some kind of magic, life-giving stream from rich countries to poor, so that humans can “save the climate”, as Roger puts it. Again, party-pooper Sarah tries to put a dampener on things by saying “you’re nowhere near that figure”. However, Christiana responds by citing a recent OECD report entitled “Climate Finance in 2013-14 and the USD 100 billion goal” which estimates that the total public and private climate finance heading from developed to developing countries was around $52.2 billion in 2013 and $61.8 billion in 2014, and so “there could be a good possibility that we’re on our way”. Glass half full! But the party-poopers have been gathering, over there in the corner. Lord Stern, you may (or may not) be astonished to learn, believes that COP21 will still leave the world on course for “a very radical transformation” at 3 degrees or higher. Brandon Wu, climate justice warrior and ActionAid Senior Policy Analyst, has raised the objection that much of this finance counted by the OECD actually consists of export credits, loans and investments, and thus “only serves the needs of rich country governments”, instead of which it presumably should be a case of handouts, pure and simple. Oxfam’s Isabel Kreisler adds that “the poorest countries and communities are still being short-changed in climate finance.” Which is an interesting way of putting it – if you are short-changed, it generally means that you have handed over your money in order to buy something and have not been given enough change back, but in this case it’s the ostensibly wealthier countries who are being required to fork out multiple billions of dollars each year and to expect no change (short or otherwise) in return – well, nothing apart from moral absolution and a “safe” climate, of course. As a card-carrying CAGW sceptic, I’m inclined to do a bit of party-pooping, myself, here, sceptic-style. Christiana’s equation – the mitigation pledges of 154 countries = 4 gigatonnes of CO2 = 2.5-3.0 degrees of global warming – seems utterly surreal, to be frank. Firstly, we’re talking about thousands of climate-change measures in over a hundred countries, many of which are probably not going to go as planned or happen within deadline. Some are sure to have unintended consequences and there will be a strong tendency among the less scrupulous regimes (whoever they are – your mileage may vary) to cheat or exaggerate. So there’s no real guarantee that those 4 gigatonnes of CO2 are going to be actually taken out of circulation or make much of a difference, even more so when you look at how massive economies such as China and India intend to develop during the course of this century. And even in the unlikely circumstance that all goes as planned and those hundreds of billions of dollars result in a measurable reduction of man-made CO2 emissions over consecutive five-year periods, would the climate even notice? Given that CO2 emissions, as measured at Mauna Loa, have been steadily rising even during the last 18 years, while global average temperatures have stalled, the possibility that the models are running too hot and that climate sensitivity is much lower than first thought seems now, more than ever before, difficult to ignore. To those hopelessly attuned to mundane, workaday reality, I think the whole scheme might be threatening to resemble, basically, a giant machine designed to eat up the wealth of nations and turn it into nothing very useful – you can imagine vast bales of dollar bills being continuously fed into a hopper at one end and goodness knows what emerging at the other, possibly vapour or sawdust. If this was a business plan, you just know, someone in senior management would have binned it. If it was a military strategy, there would be court-marshals. If it was a school project, it would come back with an F-minus and “See me”, written on it ominously in red ink. But this is UNFCCC-world, where there’s a climate to be saved, a magical money supply to be tapped, and another virtuous cycle of bureaucracy primed and ready to be detonated, as it were. Mundane considerations just don’t come into it. I see they’ll be off to sunny Marrakech, next season, for COP22, and can anyone doubt that there will be a COP23 and COP24 after that, and so on into perpetuity? From that perspective, Paris will seem less like the climax of something than just another of a long line of fresh beginnings or, if you like, more of the same. Tags: COP21, Paris, transcript, UNFCCC. Bookmark the permalink. Well said, Alex. It seems like Christiana Figueres is already on the post-Paris Marrakech express. Well, it’s good to see that Tinkerbell (aka Christiana Figueres) hasn’t lost her touch*, and is running and/or rambling true to form! As for Harrabin, also mentioned in your post and (most helpful, as always) transcript, perhaps it’s time for him to retire to the ranks of the “has-bins”! Perhaps it’s also worth noting that – if she made an appearance – Tinkerbell’s immortal words were not reflected in the IISD’s summary of the 6,000+ assemblage comprising the “12th Session of the Conference of the Parties to the UN Convention to Combat Desertification (UNCCD COP 12)”. its engagement with IPBES**, especially on the Land Degradation and Restoration Assessment; encourage greater involvement from the roster of experts; and develop policy briefs, including policy-oriented options, on the topics covered in the work programme. ** Just for the record, in this particular IISD report, I noticed that the IPCC received a mere four mentions, while its junior – and relatively recently hatched – sibling, the IPBES (Intergovernmental Science-Policy Platform on Biodiversity and Ecosystem Services}, received eight! Never let it be said that the many arms, elbows, hands, fingers etc. of the UN (primarily, I’ve long suspected, via the wide open and frequently revolving door of its ECOSOC) are not totally committed to … “recycling”! However categorized it is undoubtedly what we used to call “foreign aid”. Are developed countries really going to commit to substantial increases in their foreign aid budgets. Western countries are having enough trouble meeting needs of their electorates and balancing budgets. No western government has recently won an election with a platform to substantially increase foreign aid. The disconnect between the COP21 agenda on financial transfers and the real world is astonishing. At Copenhagen, the Chinese covered their chagrin at the failure of the shakedown of the guilt-ridden West by pretending outrage at the neo-colonialist chicanery of one Obama. I expect a similar charade at the Masque of Paris. There is even less money to ‘re-distribute’ now than there was then. There’s nothing to get hot about, Elysian Fields snowed over. There are a few tedious questions about how we can get more young people involved, what about the oceans, are we going to fall short of the 2 degrees catastrophe, etc. The three speakers – Nick Nuttall, Christiana Figueres and Laurence Tubiana – appear out of sorts (and it’s also interesting to watch with no sound, to appreciate the body language). One reason is simply tiredness, I’m sure, but there also seems to be some despondency attached to the fact that they’re now stuck with an anything-but-streamlined 55-page text (diplomatically described as “manageable”) which basically means it’ll all go down to the wire (as per usual) in Paris. At the 18:50 mark, someone asks Laurence Tubiana what happened to the “pre-agreement” idea that Laurent Fabius was talking about, back in June, and which was meant to avoid this very outcome. She doesn’t say directly, but the answer is clear: it just didn’t happen. I can see there’s going to be some fun, up ahead: arguments over which “C-word” is going to be appropriate in each case. And if a country’s announcement just has the acronym in it, there’s an automatic get-out, possibly, when they could later say “The ‘C’ was just ‘Component’, in our case, so it’s not an actual ‘Commitment’). I wonder who came up with that idea.